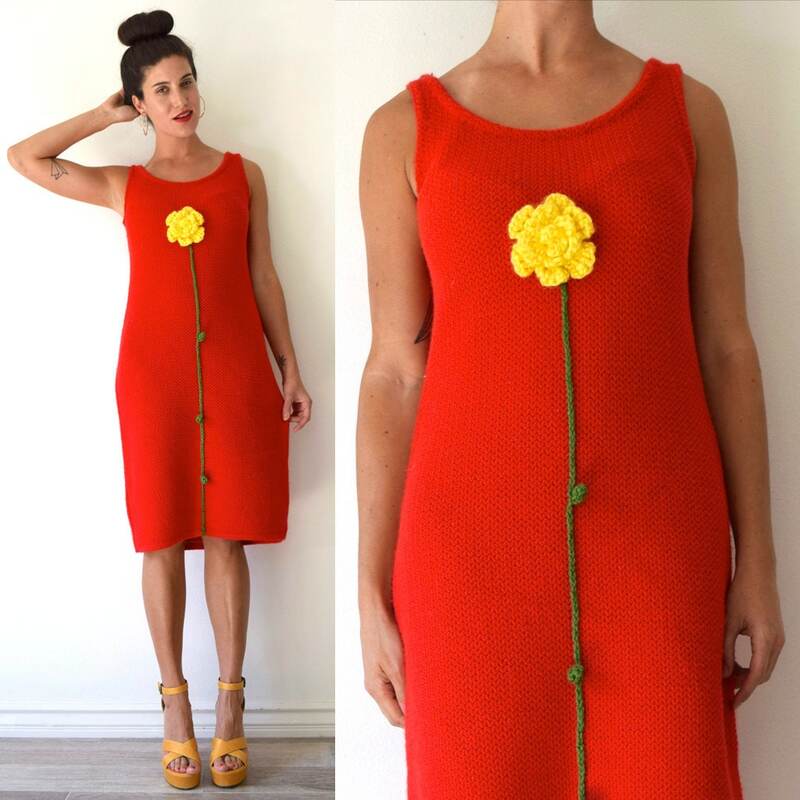 The perfect pullover red knit midi tube dress with a 3D yellow crocheted flower and a stem that extends all the way to the hem! 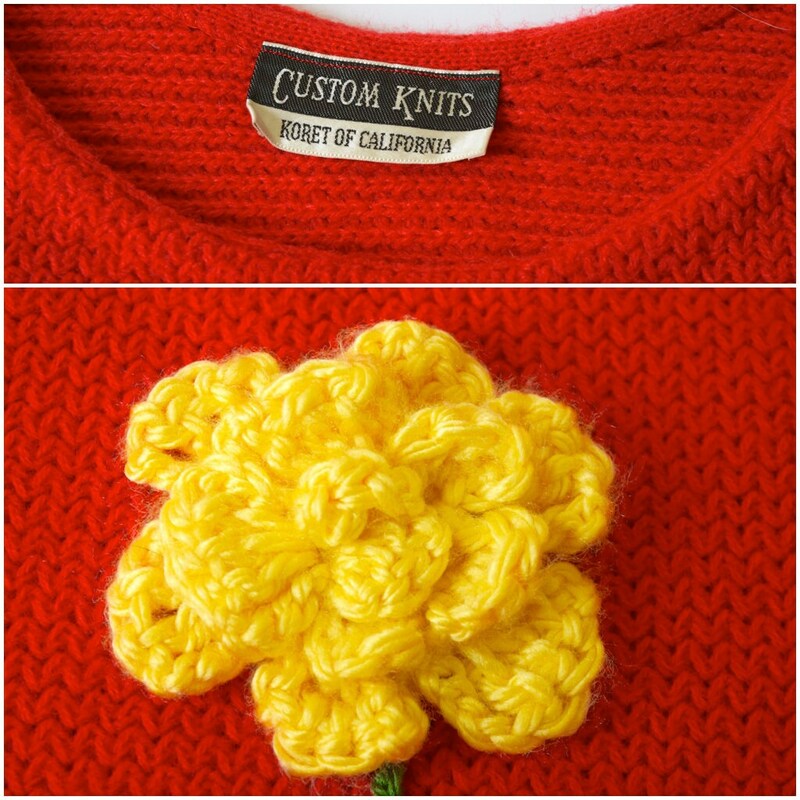 A one-of-a-kind Little Light original piece! Across at hips: 18" - 20.5"